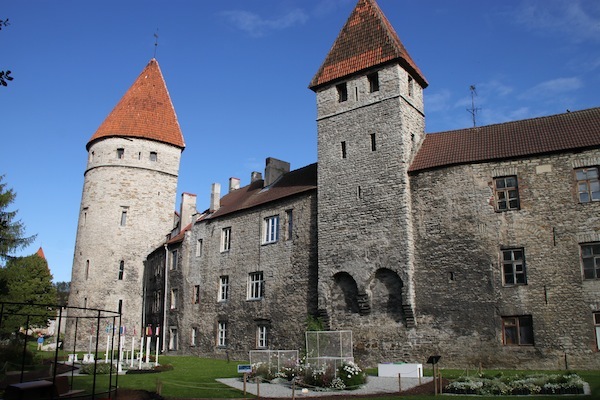 On my own, I walked the length of Tallinn’s medieval walls. About two-thirds, or more than a mile, of those walls survive, including some towers and gates. This excursion yielded amusing perspectives, particularly at Viru Gate, which is two small round towers bracketing one of Old Town’s several entrances. Standing just within the walls, I admired those towers — the kind Walt Disney liked to copy — then I spotted the McDonald’s logo just inside the gate, blending in fairly well, but never totally. Viru Gate seen from inside the Old Town walls. The McDonald’s logo is at lower right. The Soviet-era Viru Hotel is not far beyond the gates. Also, by following the sight lines between the towers beyond Old Town, the eye falls on the high-rise, Soviet-era Viru Hotel (built in predictable Soviet style), the only KGB-approved hotel for foreigners when Estonia was a Soviet republic. The KGB operated in the Viru, and today, there is a KGB museum on the 23rd floor. I also passed St. Olaf’s Church, which is mentioned in my book, Travia: The Ultimate Guide to Travel Trivia. An earlier version of this church was, in the late 16th and early 17th centuries, the world’s tallest structure at 522 feet. So far, I have focused on Old Town’s Lower Town. I walked to the adjacent and higher-altitude Upper Town, partly for another good vantage point for seeing medieval Tallinn. 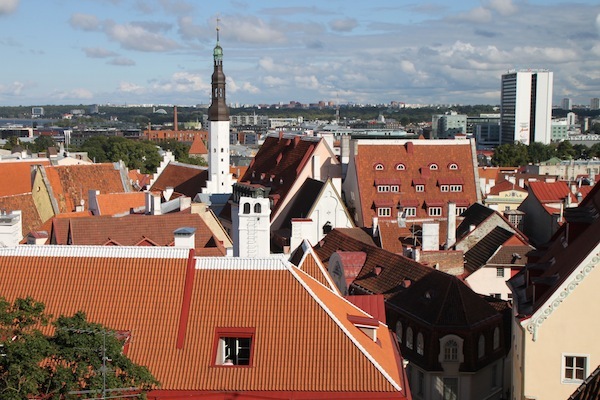 View of Tallinn’s Lower Town rooftops, seen from a viewing point on Toompea Hill. The steeple of St. Olaf’s Church rises above it all. 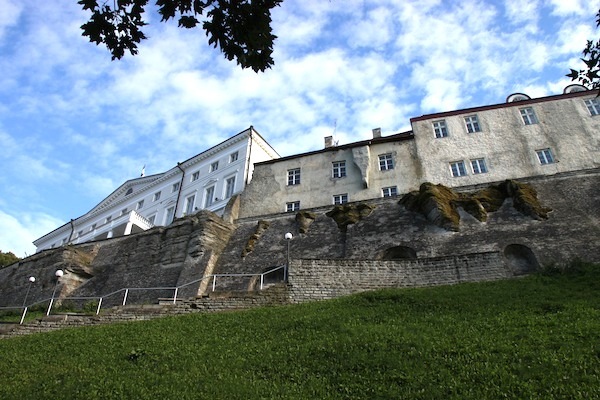 Upper Town, on Toompea Hill, had its own walls and a castle. The latter accommodates Estonia’s Parliament now and, from the front, doesn’t look like a castle. 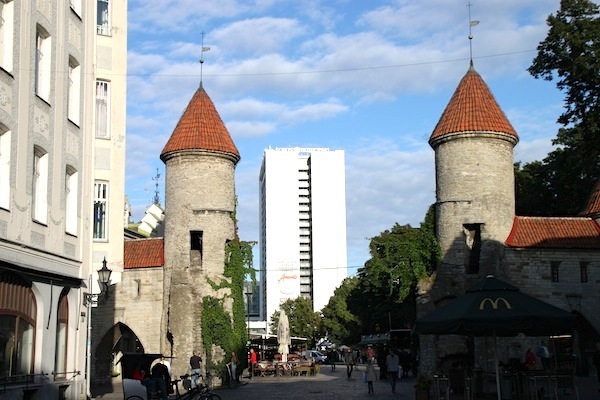 Part of Tallinn’s medieval city walls. 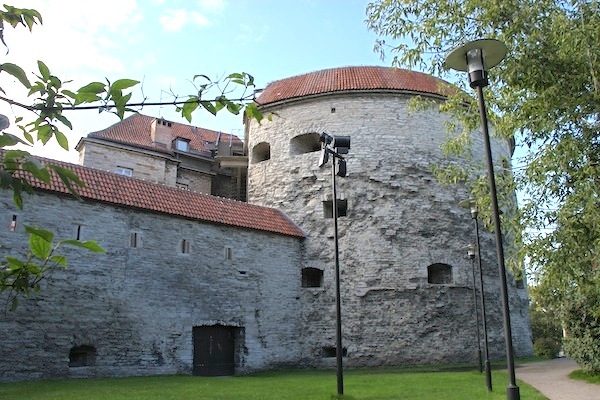 An oversized tower that is part of Tallinn’s medieval city walls. This one is called Fat Margaret. 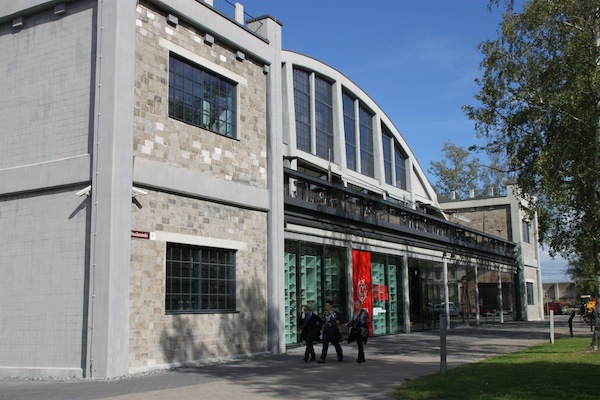 Our schedule included Estonia’s most popular museum, the Estonian Maritime Museum at Seaplane Harbor, new in 2012. Indoor displays are accommodated in a former hangar for seaplanes built in 1916-1917. The Estonian Maritime Museum at Seaplane Harbor, new in 2012. Exhibits, including a few at outdoor piers, highlight all sorts of seagoing vessels relevant to Estonia’s history. The 1937 Lembit submarine, which visitors can enter, is indoors. 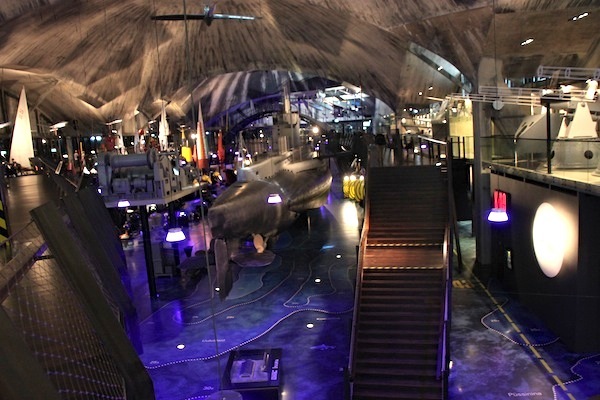 Interior of the Estonian Maritime Museum. The Lembit submarine is at center and accessible from the second-level walkway seen at right. The museum boasts of its interactive features, but I found one, the simulator that lets visitors shoot down virtual airplanes, to be perverse. That oddity aside, designers have used the huge hangar space creatively. Exhibits are at water level and below water level, but not separated by a floor, just walkways so you seem to see everything at once. Houses on the heights of Toompea Hill, supported by very impressive embankments.